Our most recent office to open was Towcester, in January 2016. We’re centrally located on the Market Square and there is some public parking available at the front of the office. 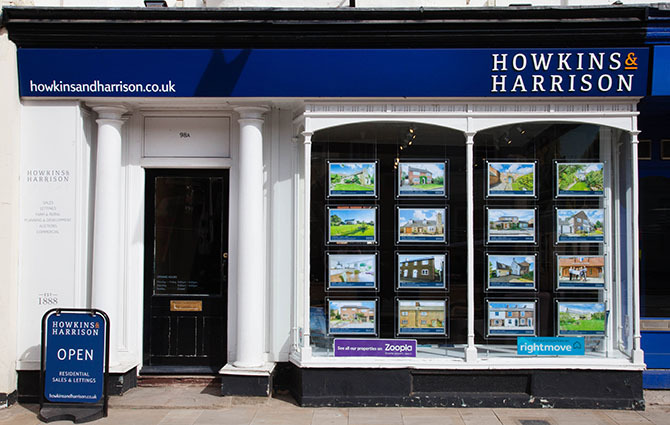 Our in-house teams here work mainly with residential property to sell, buy or let, and farm & rural, but we can also help introduce you colleagues at our Rugby office who work with commercial property, auctions and planning & development. The town of Towcester is situated in the south-west corner of Northamptonshire, close to the borders of Buckinghamshire and Oxfordshire. Not only does it have some beautiful countryside and villages, but it also has excellent road links in all directions. Plus, just a short drive to Milton Keynes railway station will get you into London Euston in about half an hour, making it an excellent area for commuters. Towcester is the oldest town in the country and was once an important Roman settlement called Lactodurum, on the Watling Street Roman Road. The town and local area are very proud of this heritage and it’s what makes the area so beautiful. Towcester is a well serviced area and the commercial hubs of Milton Keynes and the county town of Northampton are both just a short drive away. The villages surrounding Towcester are nestled into rolling countryside, which is also home to attractions such as Silverstone Circuit and Towcester Racecourse.